Clint Eastwood. Gene Hackman. Ed Harris. Scott Glenn. Laura Linney. Judy Davis. Dennis Haysbert. E G Marshall. Thriller. Drama. Murder Mystery. Recommended. While executing a robbery, master thief Clint stumbles upon the lady of the house entertaining her lover, none other than the President of the United States. 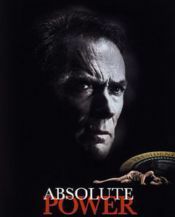 But the illicit tryst ends in the woman's brutal murder, and now Clint's up against the most powerful man in the world. Classy thriller.